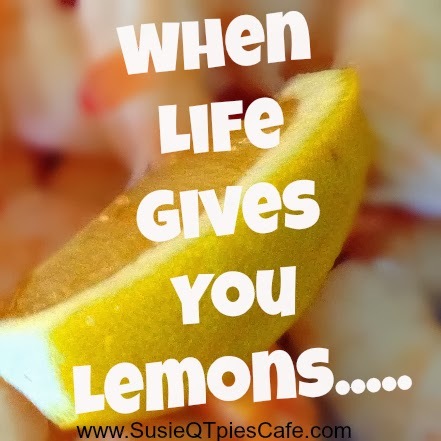 We all have heard the saying that when life gives you lemons, make lemonade. We know that most of the time lemonade with a little sugar is easier to swallow than straight up lemon juice. Right? So when life gets tough for you, do you swallow the juice or do you add a little sugar (or get a little help) to make it easier to deal with the challenge? This blog post is part of a paid SocialMoms and Pine-Sol®blogging program. The opinions and ideas expressed here are my own. I grew up in a mixed up family where I didn't have my birth mother or birth father being there for me. Yes I did have grandparents who stepped in and did fill the parenting role but there were times, as a kid, a mom and a dad should have been there. I didn't realize truly how messed up all of this was and how crazy my life was until I went off to college. It was there that I learned to strike out on my own and find my way. How did I do this? When I take time to reflect on the past I do know that God put women in my life at certain times to be loving, nurturing, inspiring and to guide and to direct me. From elementary school through high school I had wonderful teachers who guided me, accepted me and challenged me to always do better. It always seemed like every few years a teacher would go out of their way to give me a cup of sugar to mix with my lemons during trying times. I do not remember the names of most of these women but I remember their kind faces and nurturing words. The guidance of my early role models got me to college where I faced my toughest challenge. In college I had to deal with emotional and physical issues from my past. I had to sink or swim. I had to go find my own sugar and when I did, I started giving this sugar to others who were in need. Through the inspiring women and role models during my college years, I learned how to really be caring and nurturing for those around me as well. I learned to not be a victim and to help those who were a victim, too. I was inspired to get past tough situations and help others rise above their situations, too. Over all, I learned that you can control how others treat you by the way you react and act to their behaviors toward you. Over the years, I am still finding that God puts nurturing and inspiring women in my life just at the right time. I have taken what I have learned and have used it to help my three daughters and those who are in need. I have learned that if you are struggling then slow down, stop and take a look around and reach out to those around you. We can all rise above adversity if we want it and we all have some sugar to give to those who need it. 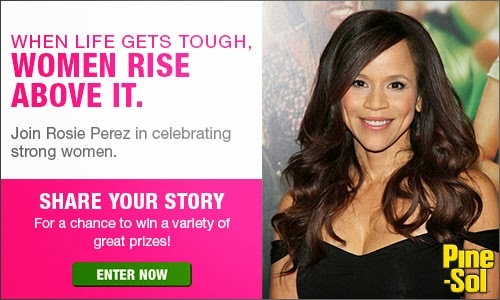 The makers of Pine-Sol® Products has teamed up with actress Rosie Perez in a special campaign to celebrate strong women called When Life Gets Tough, Women Rise Above It! So for me, I don't have one specific woman who inspired me but many women who were placed in my life just when I needed it. Pine-Sol® is looking for stories about inspiring women who have risen above adversity. By sharing your stories you can in turn help other women through their life challenges. Stop over and enter your story, here. By entering your story you will be entered in their sweepstakes to win awesome prizes! Wakefield Research conducted a survey among women across the U.S. on behalf of Pine-Sol® Brand Cleaners. According to the results, 86% of women ages 35 plus, say their biggest female role model is someone they know personally, not a celebrity or political figure. Additionally, women see the best female role models in their family (60%) and their communities (24%), according to a Pine-Sol survey and 65% feel they are currently a role model to someone in their life. This blog post is part of a paid SocialMoms and Pine-Sol® blogging program. The opinions and ideas expressed here are my own.